A child with a missing tooth is cute. You can probably remember having a loose tooth and wiggling it around until it came out. There was never a care in the world about having a toothless smile. This all changes as you grow up. The last thing you want is gaping holes in your teeth. Losing your teeth is embarrassing and destroys self-confidence. When teeth are missing in the front of your mouth, you are less likely to smile. You may not want people to see you are missing teeth, so you stop smiling instead. Replacing teeth with dental implants can save you embarrassment and let you smile at the world again. With a full set of teeth, your self-confidence will return. This is a great reason to get dental implants. Dental implants are a perfect option to replace lost teeth. These are a permanent solution. They have the highest rate of success out of any other options, even those that are not permanent. You will have surgery to have the implant put in place. Later a dentist will cap the implant with a crown. With good dental hygiene and after care, you can enjoy the benefits of affordable dental implants. So how long have people used dental implants? As long ago as 2000 BC, the people of China used the earliest forms of dental implants. They carved bamboo pegs to replace their teeth. The Mayans were another civilisation that used dental implants. But these were probably the first that fused with the jaw bone. This was more than 1350 years before the first titanium dental implants. In 1931, during an archaeological dig near Honduras, archaeologists found evidence of a Mayan tooth implanted in an ancient skull. It dated back to around 600 AD. The tooth belonged to a woman in her twenties. She had pieces of shell shaped into teeth implanted in her mouth where she was missing teeth. After doing radiological investigations, it showed these shells had fused with the bone. This indicated she had them implanted while she was still alive. 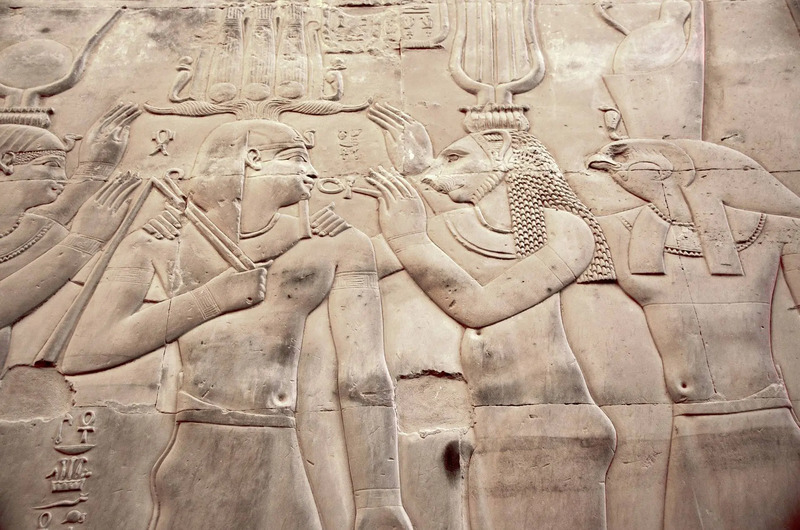 This was the first recorded example of tooth implants. There were other examples of early teeth implants. However, it is not known if the implants were after death or during life. An Egyptian king who lived in 1000 BC was a found with a copper peg hammered into his upper mouth. This was the first recorded use of a metal tooth. Researchers are not clear whether it was put into his mouth before or after death. In an archaeological dig in France, they uncovered a Celtic grave. The ancient skull was from around 300 BC and had an iron false tooth. They think the tooth was hammered into the jaw after death, so the dead person had all their teeth for aesthetic reasons. They believe this because an iron tooth implanted back in those days would have been too painful to experience while still alive, as they used a hammer to put them in. Throughout history, it was common for people to use the teeth from other people or animals to replace lost teeth. This is obviously something we do not do today. The risk of infection is just too great. But an implant from another person is a homoplastic implant and from animals, it is a heteroplastic implant. It is inconceivable that we would use this today. It is difficult to grasp people in the past used animal teeth to replace their own. Over the years, archaeologists have found other materials used in skulls. These include rare gems and seashells and other materials. It was not until the 1950s that dental implants as we know them were accidentally discovered. During the 18th Century, researchers experimented with different materials trying to find a material that would work as replacement teeth. They used metals and gold, but these were not very successful. A doctor made another attempt to find a good way to replace teeth. He used a porcelain crown on a platinum disc to create dental implants. This was not successful either over the long term. The biggest problem researchers faced was the rejection of foreign material by the human body. For a dental implant to be successful, it needs to fuse with the jaw bone. This is a process called osseointegration. It was not until 1950s that an orthopaedic surgeon accidentally found a possible solution. He discovered the right metallic properties they needed to use for the human body to accept. It was an accidental discovery during a study at Cambridge University in England. While studying the blood flow in living creatures, they created a titanium cylinder. They implanted this into the soft tissue of rabbits’ ears. At this time, they discovered this was a method that was a possible solution for replacing lost teeth. It 1952, a Swedish orthopaedic surgeon by the name of Per Branemark took the research further. He wanted to study bone healing and regeneration. He used the titanium chamber from the Cambridge University study. He implanted it into the femurs of rabbits. After studying the results for several months, he tried to remove the cylinders from the rabbits. He could not remove them, so he investigated further. Branemark found the bone had fused with the titanium cylinder making it a permanent fixture. He continued to study this using animals and people in his research. During these studies he confirmed that titanium had the potential to be a suitable material to use for dental implants. His original intention was to use this discovery for knee and hip surgery. But, at the time, there was a high rate of tooth loss among the population. He found it was more feasible to conduct a widespread study using titanium as dental implants rather than for his original purpose. By 1965, Branemark was a Gothenburg University anatomy professor in Sweden. 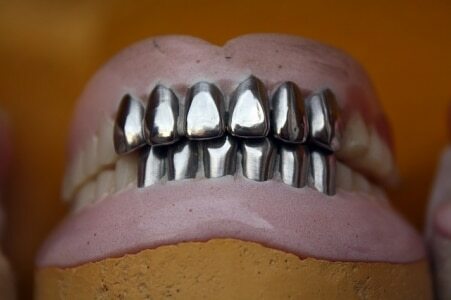 He used titanium as a dental implant in the first human volunteer, a Swede called Gösta Larrson. It was successful. Branemark published many studies over the next 14 years about titanium implants. It was not until 1978 that he went into a commercial partnership with the Swedish defence company Bofors AB. He convinced them to develop and manufacture his dental implants for sale. The created the company Nobelpharma in 1981 to focus on producing his dental implants. In 1996 the company changed its name to Nobel Biocare. Today, there are more than 7 million Branemark implants used in people’s mouths around the world. And, there are many other companies that use his patent to produce dental implants. With this success, dental implant techniques were developed further. The titanium implant developed into the form of a screw with a rough surface. A rough surface helps the implant fuse faster and more effectively. Under general anaesthetic, the screw is secured into the jaw where the teeth are missing. Once this has healed and fused into place, a crown is put on over the top of the screw. Restore people’s ability to chew properly. There is a high rate of success using this procedure with some dental surgeries achieving a 97 percent success rate. This success is testament to the persistence and ingenuity of researchers to find a good, permanent solution to tooth loss. But the high success rate is also because of the skill and expertise of the surgeons performing these procedures. They must undergo extensive training. Surgeons need a lot of restorative and surgical knowledge to perform this sort of surgery with success. After surgery, the implants must be cared for correctly. Because of man’s ingenuity and the progress made developing dental implants, we have these advanced solutions for dental care. These days we now have state-of-the-art technology and training, so people do not have to live without their teeth. If you are thinking of having dental implants to replace missing teeth, contact Dentist Collingwood about this solution. 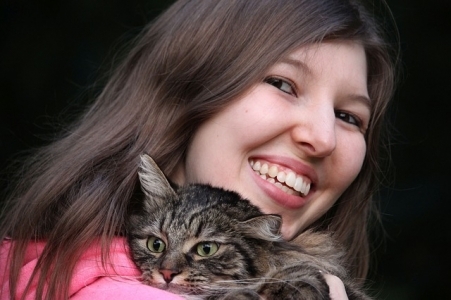 No longer will you be embarrassed about missing teeth and you will start smiling again.